With all the merchant-bashing that goes on in town (and here), it’s nice to hear a different perspective. “06880” reader Terri Gatti Schure sent this “open letter” to Sally White — the beloved (and longtime) owner of Sally’s Place. It’s one of the last independent “record” stores in America — and Sally puts the “mom” in mom-and-pop shops. You were the topic of conversation at our recent Staples High School 40th reunion earlier this month. Several of us reminisced about you, and the memories were so fond and profoundly deep. We all agreed that your love of music came from the heart. You had such passion — not just for the music itself, but for what the music created for us emotionally. In 1967, the highlight of my Saturdays was going to Klein’s and listening to whatever you had on the “record player.” You’d guide me through the latest and best artists, albums, top 10. I could walk in and give you 2 or 3 words in the lyrics, and you knew exactly what song it was. Even though I hadn’t seen you in 40 years, you were the same old Sally. And those 2 songs? One was about not paying the rent – an old R&B tune. You wrote some notes in your spiral notebook — just like you did 40 years ago — and promised to do some research. If anyone can find the song, it will be you. The other song was more of a memory. I told you that I recalled my mother sitting at the kitchen table in the dark, in the late ’50s, smoking a cigarette, listening to this haunting song on the radio. I could only recall that it had something to do with the earth being bitter. You took the CD out of the cellophane — not even caring that I might not buy it — and put it in your player. 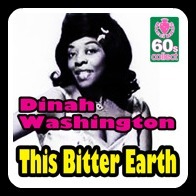 “’This Bitter Earth’ by Dinah Washington,” you said. As we listened to the song I was overcome with emotion, lost in the memory of my mother that night. I looked at you through teary eyes, and of course yours were teary too. That is what was always so special about you. We could share a small piece of our heart with you, and you loved us all, because the music made it possible. It was a pleasure and an honor seeing you again. I want to thank you for sharing your music with me this past Saturday, as well as all those many, many Saturdays over 40 years ago. This entry was posted in Downtown, Entertainment, Local business, Looking back, People and tagged " Terri Gatti Schure, "This Bitter Earth, Dinah Washington, Sally White, Sally's Place. Bookmark the permalink. Sally turned me on to The Remains back in 1966. Great post. Thanks. I also have Many great memories of sally, she guided me through classic rock and roll of the 70’s and kept me away from dreck. Sally had great instincts for music and great attunement to her cutomers. Thank you sally for shaping my musical life. I hope Terri bought the CD that Sally opened. First of all, it needs to be said that Teri is a brilliant and terrific writer. My brothers and I bought some of our first records at Klein’s in the 1960s. I cannot remember a single occasion when Sally wasn’t friendly, cheerful, and helpful. To an almost superhuman extent. actually. A couple of years ago, my teenage cousin was extremely excited because Sally, as promised, had tracked down for him what had become a very hard to locate CD. It was “Mr. Fantasy” by Traffic – which happened to be the single music album that had the greatest influence on me and did more to form who I am than any other. Sally spans, and links, generations. Sally White is a treasure. I teach a class at Staples in audio production. I implore each student to introduce themselves to Sally and try to engage her in a conversation about music. I tell them that they are so lucky to have her and her store in their home town. I tell them when they go into her store it like stepping in time to a music scene and world that can not be found almost anywhere anymore. Terri Gatti Schure has it right. You are a powerful asset in our community. You helped to form and change lives. I bought the first Beatles record for our family when our kids were too young to appreciate what they were listening to. We usually had classical music or the big bands playing in our house. They are all devoted Beatles fans. Sally also had the capacity to guide parents through the music their kids wanted for birthdays, Hanukah or Christmas. My mother trusted that if Sally recommended it, we would like it. And it was always true. Years later, my husband, a jazz fan, was introduced to Sally’s encyclopediac knowledge and joined the fan club. Sally is a national treasure. My friends and I started going to Sally’s when Westport Record and Tape sadly closed and we realized her selection of the Grateful Dead, Marley, Reggae, Classic Rock, etc. blew away Sam Goody’s. While we were listening to ‘popular’ music at the time we were more interested in the great music of the late 60s and 70’s. The year was 1988 (I think) and as typical teenagers we thought we knew it all and walked into her store full of bravado and deep musical knowledge. Sally cheerfully greeted us and literally gave us lessons on each of our favorite artists and had almost every CD they had ever recorded. We sat in awe and wonder as this lady spoke to us. She was cool! To this day I still go in to buy some music. A few years ago I had listened to a snippet of a song I really liked and sang it to her and it was the band Modest Mouse who at the time was a small indie band out of Seattle and of course she had their CD. How did she know that??!!! I usually just take the disc and transfer it to i-tunes but it is all about the experience and learning and getting to to talk to the great Sally White. Great piece Dan. This is a typical response to Sally, who is a true Westport treasure. I bought my first album from her after moving to Westport in 1969 and I am still buying CDs from her today. 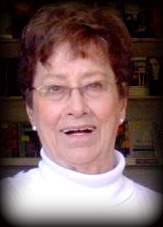 Like anyone who has spent time in her store, she has brought much happiness with the gift of great music to my life. We moved to Westport in 1961, I was 11. I bought my first 45 from Sally at Melody House (it was on Main Street near Achorms). Besides Sallys truly encyclopediac knowledge of all good music she usually knows whats up with old friends and wants to hear news of some herself. I get downtown far to little now but I think of Sally often and how much shes meant to all of us “townies” and new folks alike. Thanks Sally for keeping my father and Francis Albert with me. Of course there was the “Original Broadway Cast” album section at Kleins, and Sally would always point me in the right direction. I bought so many records from Sally way back in the 60’s and 70’s. “Oliver!,” “Hello Dolly, “Mame,” the list goes on and on. She even found me some little known cast albums such as “Bajour!” and “Minnie’s Boys.” Sally was a formidable presence from my past, and in some small way helped me find my own way to the Broadway stage. Thank you dear Sally! Sure enough, she nailed it. It’s like playing Jeopardy with someone who knows all the answers. Sally, if you’re reading this, I have loved you from Klein’s to Sally’s Place. With who else in Town could I share Horace Silver stories. You’re the best, and represent the very best of Westport. 31 years ago I was renting a house at the beach for the summer. I saw an ad for the Levitt Benefit featuring Neal Sedaka, one of my all time favorite songwriter/singers. Tickets were available at Klein’s music department among other places and there were also special tix which included an after party at a patron’s home. I didn’t know Sally at all, but she was gracious and lovely telling me that she didn’t have the expensive tix, but that the woman to whom she was speaking could probably help me. And with that Sally introduced me to Luba Sedaka, Neil’s wife. At the after party Luba introduced me to Neil and It turned out that we lived nearby one another in the City and that our daughter went to the same school as their daughter. I have adored Sally ever since. She is beyond a treasure and I was overjoyed to be in attendance when she was honored by the WAC a while back. I also love Sally because several years when my daughter was maybe 14-15 I took her to Sally’s to buy her some CDs for her birthday. It turned out that everything she wanted was rap and Sally made it eminently clear that she didn’t stock nor would she order any of the titles my daughter wanted. I hugged her (Sally) and told my daughter that if Sally didn’t carry it I wouldn’t buy it and that she was on her own. Thankfully she rather quickly outgrew that particular phase of her musical tastes.